Yellowstone National Park is known for nature, wildlife, trails, historic sites, and nightlife. Your plan includes some of its best attractions: take in breathtaking views at Grand Canyon of the Yellowstone, witness a stunning natural landmark at Sapphire Pool, explore the striking landscape at Lower Geyser Basin, and explore the activities along Yellowstone Lake. 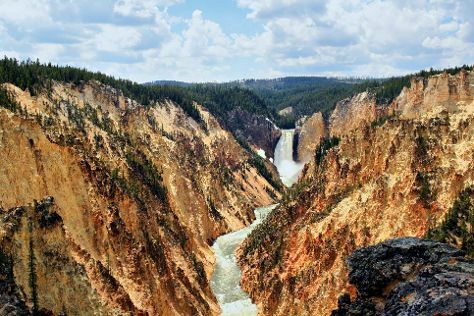 To see where to stay, more things to do, traveler tips, and more tourist information, read our Yellowstone National Park day trip planner. Bozeman to Yellowstone National Park is an approximately 3.5-hour car ride. You can also do a combination of bus and car; or take a bus. Plan for a bit cooler temperatures traveling from Bozeman in August, with highs in Yellowstone National Park at 24°C and lows at 3°C. Wrap up your sightseeing on the 23rd (Fri) to allow time to drive to Moose. Moose is an unincorporated community in Teton County, Wyoming, United States, in the Jackson Hole valley. 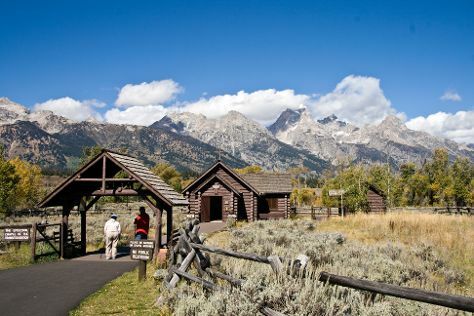 Start off your visit on the 24th (Sat): identify plant and animal life at Grand Teton. Get ready for a full day of sightseeing on the 25th (Sun): take in the spiritual surroundings of Chapel of the Transfiguration, then take a memorable drive along 42-mile Scenic Loop Drive, and then take in the dramatic natural features at Glacier View Turnout. To find where to stay, reviews, other places to visit, and tourist information, go to the Moose trip planner . Traveling by car from Yellowstone National Park to Moose takes 2 hours. While traveling from Yellowstone National Park, expect a bit warmer days and about the same nights in Moose, ranging from highs of 30°C to lows of 7°C. Wrap up your sightseeing on the 25th (Sun) to allow time to travel to Ogden. Ogden is a city and the county seat of Weber County, Utah, United States, approximately 10mi east of the Great Salt Lake and 40mi north of Salt Lake City. Kick off your visit on the 26th (Mon): find something for the whole family at Lagoon Amusement Park. To find where to stay, traveler tips, more things to do, and more tourist information, read our Ogden trip itinerary planner . You can drive from Moose to Ogden in 4.5 hours. Traveling from Moose in August, you will find days in Ogden are somewhat warmer (37°C), and nights are warmer (20°C). Wrap up your sightseeing by early afternoon on the 26th (Mon) to allow enough time to drive back home. Richfield is a city in and the county seat of Sevier County, Utah, in the United States, and is the largest city in southern-central Utah.DescriptionAs of the 2010 census, the city population was 7,551. Your day-by-day itinerary now includes Fishlake National Forest. Start off your visit on the 27th (Tue): contemplate the long history of Cove Fort Historic Site and then delve into the lush surroundings at Fishlake National Forest. To find ratings, photos, where to stay, and more tourist information, go to the Richfield trip planner . You can drive from Ogden to Richfield in 3 hours. Traveling from Ogden in August, Richfield is a bit cooler at night with lows of 17°C. On the 28th (Wed), wrap the sightseeing up by early afternoon so you can travel back home. Kick off your visit on the 28th (Wed): hike along Navajo/Queens Garden Loop. Get ready for a full day of sightseeing on the 29th (Thu): take in breathtaking views at Sunset Point, then tour the pleasant surroundings at Navajo Loop Trail, and then take a pleasant ride with a tour on horseback. For ratings, reviews, where to stay, and other tourist information, go to the Bryce Canyon National Park travel itinerary planner. Getting from Richfield to Bryce Canyon National Park by car takes about 2 hours. In August, Bryce Canyon National Park is little chillier than Richfield - with highs of 29°C and lows of 9°C. Wrap up your sightseeing by early afternoon on the 30th (Fri) to allow time for the car ride to Zion National Park. On the 30th (Fri), admire all the interesting features of Zion Shuttle. On your second day here, tour the pleasant surroundings at The Narrows. To see traveler tips, more things to do, reviews, and other tourist information, refer to the Zion National Park day trip tool . You can drive from Bryce Canyon National Park to Zion National Park in 3 hours. Expect a bit warmer temperatures when traveling from Bryce Canyon National Park in August; daily highs in Zion National Park reach 38°C and lows reach 14°C. On the 2nd (Mon), you're off tohome. On the 3rd (Tue), explore the striking landscape at Zabriskie Point, then take a memorable drive along Artists Dr, and then steep yourself in history at Harmony Borax Works. Get ready for a full day of sightseeing on the 4th (Wed): contemplate the waterfront views at Badwater Basin, take some stellar pictures from Dante's View, and then take some stellar pictures from Father Crowley Vista Point. Inspirock's itinerary builder makes planning a Death Valley National Park trip simple and quick. You can do a combination of taxi and bus from Zion National Park to Death Valley National Park in 7.5 hours. Other options are to do a combination of taxi, flight, and bus; or do a combination of car, flight, and bus. The time zone changes from Mountain Standard Time to Pacific Standard Time, which is usually a -1 hour difference. Traveling from Zion National Park in September, things will get somewhat warmer in Death Valley National Park: highs are around 38°C and lows about 20°C. Wrap up your sightseeing by early afternoon on the 5th (Thu) to allow time for travel back home. 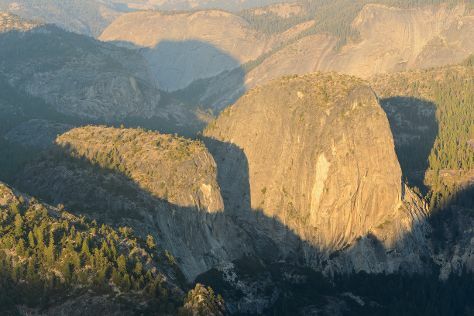 Kick off your visit on the 6th (Fri): hike along Mariposa Grove of Giant Sequoias, then don't miss a visit to Yosemite Conservation Heritage Center, and then explore the striking landscape at Glacier Point. Here are some ideas for day two: indulge in some culinary diversions at a local gastronomic tour and then get great views at Tunnel View. To see traveler tips, where to stay, reviews, and other tourist information, read our Yosemite National Park trip planner . Getting from Death Valley National Park to Yosemite National Park by car takes about 8 hours. Other options: do a combination of car and bus. When traveling from Death Valley National Park in September, plan for little chillier days and much colder nights in Yosemite National Park: temperatures range from 27°C by day to 3°C at night. Wrap up your sightseeing by early afternoon on the 8th (Sun) to allow time for travel to Redwood National Park. Kick off your visit on the 9th (Mon): explore the wealth of natural beauty at Redwood National Park. To see ratings, more things to do, photos, and other tourist information, use the Redwood National Park online trip itinerary maker . Use the Route module to find suitable travel options from Yosemite National Park to Redwood National Park. Traveling from Yosemite National Park in September, expect nights in Redwood National Park to be somewhat warmer, around 11°C, while days are a bit cooler, around 22°C. Cap off your sightseeing on the 9th (Mon) early enough to travel back home. Start off your visit on the 10th (Tue): trek along Partington Cove, then take in the dramatic scenery at McWay Falls, then admire the majestic nature at Julia Pfeiffer Burns State Park, and finally view the masterpieces at Coast Gallery Big Sur. Here are some ideas for day two: stroll through Garland Ranch Regional Park, admire the majestic nature at Pfeiffer Big Sur State Park, and then enjoy the sand and surf at Pfeiffer State Beach. To see photos, maps, reviews, and more tourist information, use the Big Sur online visit planner . The Route module can help you plan travel from Redwood National Park to Big Sur. Plan for a bit warmer temperatures traveling from Redwood National Park in September, with highs in Big Sur at 26°C and lows at 15°C. Wrap up your sightseeing by early afternoon on the 12th (Thu) to allow enough time to drive back home. Snoqualmie is a city next to Snoqualmie Falls in King County, Washington. Start off your visit on the 13th (Fri): fly like a bird with a parasailing or paragliding tour and then hike along Rattlesnake Mountain Trail. Here are some ideas for day two: see the interesting displays at Northwest Railway Museum, then tour the pleasant surroundings at Snoqualmie Point Park, then admire the sheer force of Snoqualmie Falls, and finally admire all the interesting features of Remlinger Farms. 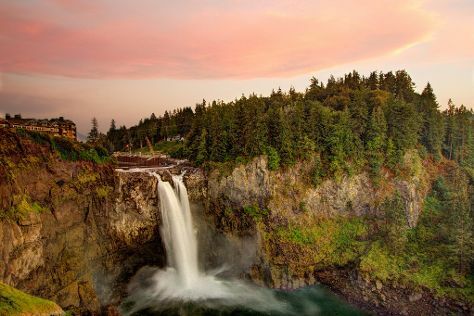 To find more things to do, traveler tips, where to stay, and other tourist information, use the Snoqualmie trip itinerary maker . Traveling by flight from Big Sur to Snoqualmie takes 8 hours. Alternatively, you can drive; or do a combination of taxi, train, and bus. In September in Snoqualmie, expect temperatures between 25°C during the day and 14°C at night. Wrap up your sightseeing by early afternoon on the 15th (Sun) to allow time for the car ride back home. On the 16th (Mon), appreciate the extensive heritage of Jackson Square, examine the collection at The National WWII Museum, and then appreciate the extensive heritage of Garden District. Get ready for a full day of sightseeing on the next day: pause for some serene contemplation at St. Louis Cathedral, appreciate the extensive heritage of French Quarter, and then tour the pleasant surroundings at New Orleans City Park. For maps, traveler tips, more things to do, and more tourist information, use the New Orleans itinerary website . You can fly from Snoqualmie to New Orleans in 9.5 hours. Alternatively, you can do a combination of shuttle and flight; or drive. The time zone difference when traveling from Snoqualmie to New Orleans is 2 hours. When traveling from Snoqualmie in September, plan for somewhat warmer days in New Orleans, with highs around 33°C, while nights are warmer with lows around 33°C. On the 18th (Wed), wrap the sightseeing up by early afternoon so you can travel back home. Start off your visit on the 19th (Thu): make a trip to Graceland, examine the collection at Stax Museum of American Soul Music, and then steep yourself in history at Sun Studio. Get ready for a full day of sightseeing on the 20th (Fri): contemplate the long history of The Peabody Ducks, look for gifts at Memphis Music, get to know the fascinating history of Beale Street, then pause for some photo ops at National Civil Rights Museum - Lorraine Motel, and finally try your luck at Horseshoe Casino. For traveler tips, where to stay, more things to do, and more tourist information, you can read our Memphis trip itinerary maker tool . Getting from New Orleans to Memphis by car takes about 7 hours. Other options: fly; or take a train. Traveling from New Orleans in September, expect little chillier with lows of 23°C in Memphis. On the 21st (Sat), wrap the sightseeing up by early afternoon so you can travel back home.